lofoten Gore-Tex Pro Light Pants (W) wurde bewertet mit 4.8 von 5 von 12. Die lofoten Gore-Tex Pro Light-Hose ist unsere leichteste Hose für actionliebende Freerider. Sie ähnelt in vielerlei Hinsicht dem lofoten Gore-Tex Pro-Modell, doch sie besteht aus einem leichteren, wind- und wasserdichten GORE-TEX® Pro-Gewebe, das besonders strapazierfähig ist. Die Hose ist etwas enger geschnitten als die lofoten Gore-Tex Pro, was ihre Passform optimal für Freerider macht. Zu ihren besonderen Merkmalen gehören ein individuelles Taillenregulierungssystem, Seitenbelüftungen mit Schnee-Mesh-Einlage und Taschen auf Höhe der Oberschenkel sowie Verstärkungen am Unterschenkel. Damit ist sie die perfekte Hose für den actionliebenden Freerider, denn sie vereint optimalen Schutz mit vielen praktischen Merkmalen. Rated 5 von 5 von SierraSun aus Flattering, Comfortable and Well Designed! Love these pants! They are a beautiful fit for me - slim in the hips, yet comfortable in the thighs/legs for ease of movement. I have an athletic build, yet somehow the cut provides a feminine look. After trying on many different brands of pants, these were my favorite. Perfectly light and strong. 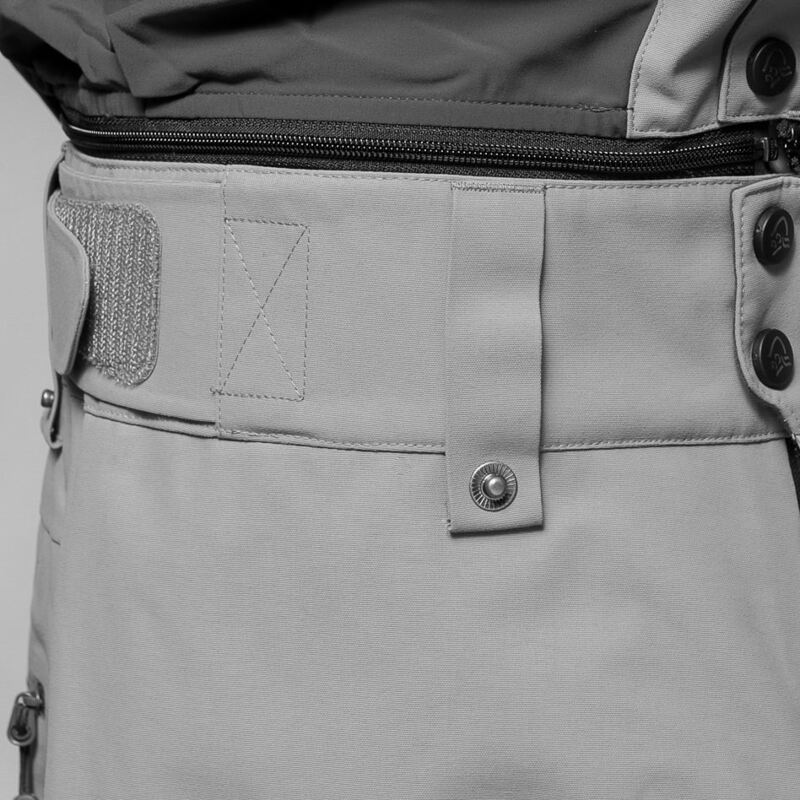 Plenty of pockets with mesh lining, placed well. I'm enjoying wearing them this season skiing in Tahoe. I chose the red, which is a pretty, cherry red. I would say the color leans a bit towards raspberry - no orange. Ordered the XS and I am 5'6" and 125 lbs with slender hips and thighs. Rated 4 von 5 von Balou aus Schöne, leichte Hose Ich trage die Hose auf Skitour oder zum Abfahren mit mehr oder weniger warmen langen Unterhosen, so ist sie von der Wärme her immer OK. Ausserdem sieht sie gut aus. Weniger gut ist die obere Tasche, da passt kaum eine Hand rein. Schade ist auch, dass es keinen passenden Hosenlatz gibt. Deshalb gibt es einen Pinkt Abzug. Rated 4 von 5 von KatrineG aus Good, but not best! Ordered the Lofoten Gore-Tex Pro Light Pants (W). The reinforced inside ankle got ripped in the seams after the first time I used the pants, but after talking to the customer service I returned the pants and got a new pair delivered right away. 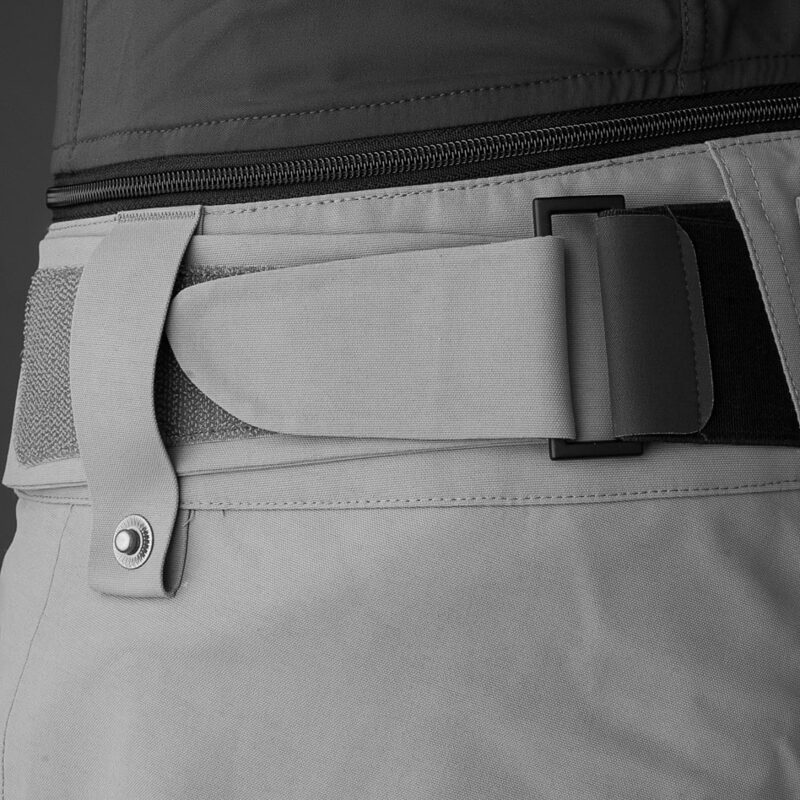 It says that a zip bib can be added so I included this to my order, but it does not completely fit to these pants, so there is a 1cm gap at the end of the zipper. This should have been stated on Norrøna's webpage(or customized for these pants), especially since they claim to have first class products, and their products are very pricy. Overall nice pants, used in both cold, warm and wet weather with different kinds of layers under. They are perfect for ski touring. And of course they look very good! Using them for the second season now, and I have recommended these for my friends. Rated 5 von 5 von Tango06 aus Leicht- aber absolut wind- und wasserdicht! Zum Ski fahren gekauft, passt die Hose auch perfekt zur Falketind-Jacke. Rated 5 von 5 von fuernkranz aus Perfecte Touren Hose Schon für einige Touren verwendet! Ein Rundum gelungene Hose. Rated 4 von 5 von Rachela aus Light and strong For the last five years I have been using the Lofoten Gore Tex Pro pants. I give them the highest possible rating. The cut is brilliant. And I don't just mean they're comfortable - the whole look is great. They fit where they need to. And they're loose where they need to be. Perfect. But eventually they got worn out and the zipper came unstuck, so I bought a lighter version of the pants - Lofoten Gore-Tex Pro Light. I've already tried them out - I just returned from the season opening in Italy. What are they like? - surprisingly soft. Indeed, this model is slightly narrower, and if you were counting on them to be a replica of Lofoten Gore Tex Pro, you might be disappointed. In this form they lose a bit of their roguish style. I wish they still had the back pocket, but it's just a detail. What bothered me was the bottom width of the leg; the pants could barely fit on the ski boots. And the lack of zipper - quite surprisingly - doesn't make putting them on any easier. Generally speaking, I'm pleased with them, and I'm going to take them with me on my next freeride trip. Rated 5 von 5 von Johanna Stalnacke aus Good breathability and a sweet weight The Lofoten GT Pro light pants are both comfy for touring and comes with an even better breathability than the regular GT pant. A good choice for the spring or when touring to get in position for your line to ski. 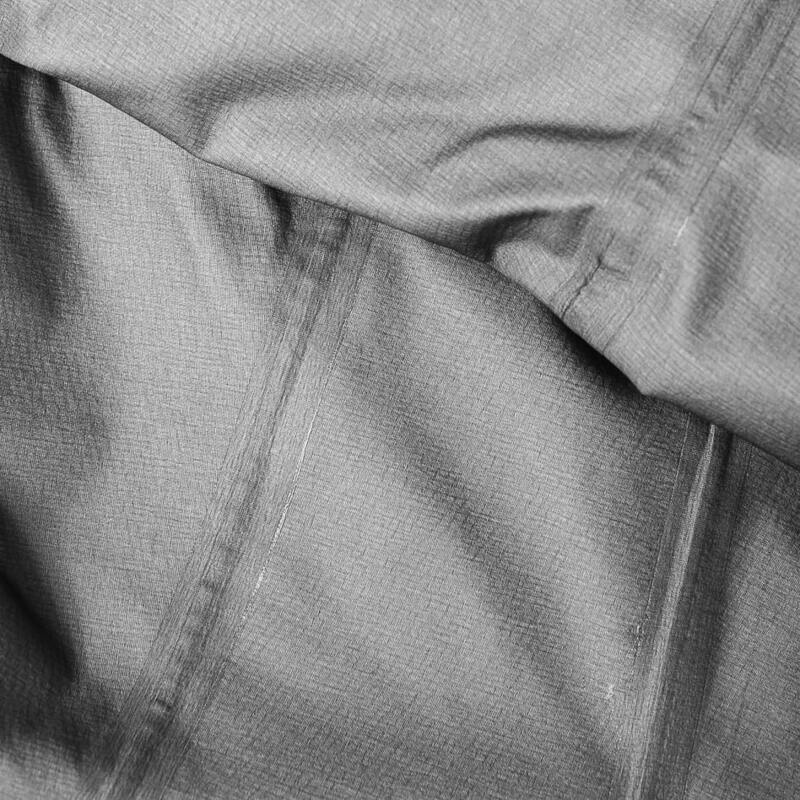 The garment feels good and soft, yet durable and strong. I appreciate the usable front pockets on the legs that have a small mesh inside to keep the phone in place so it doesnt bounce around when you are skiing. A good comfy fit, with an enjoyable weight.